Inspect and Clean This Area! ...and remember to clean at least every spring! This could be part of your cooling problem! Caution: Unplug the refrigerator! 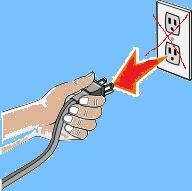 Do the cleaning of this area with the unit NOT being plugged in, i.e., NO ELECTRICITY! Note: Even if you are just routine cleaning the compressor/condenser/coils area, the unit should be unplugged to avoid dust and other debris from being blown around. Also, there is a danger of possible shock from some parts or physical injury by a spinning fan. 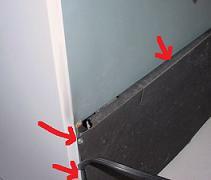 Remove the five or more screws that hold the cardboard cover to the refrigerator frame, and then remove the cardboard. Make sure you have enough clearance to observe and work. Make sure you are wearing eye protection, a dust mask (and ear protection if you are vacuuming). Dust and other debris can be removed gently with a vacuum cleaner and a soft brush and cloth. You can purchase several different attachments/brushes specifically designed for hard-to-get-at coils, as well as a soft brush, at your favorite store. (compare prices before you buy!) You will use these again and again! and can be located in different areas of the refrigerator, e.g., under, on the rear or in a condenser shroud. Water and electrical parts do not go together! 1- After the cardboard is removed for cleaning, the technician makes sure that nothing (e.g., tools, clothes, BODY PARTS) is touching any of the now exposed refrigerator parts. S/he is wearing eye protection. 2- The technician will stand back, then plug the refrigerator in for a few seconds to observe if the condenser fan is turning freely. S/he uses a mechanic's light or a bright flashlight to observe the condenser fan and listens for any other "unusual" sounds coming from the compressor/condenser fan area. WARNING: If you are not a trained professional technician, you are probably just reading for general knowledge so you can understand your repair person, not to implement what could be dangerous procedures for the untrained. Keep away from the fan while plugged in!  >>>3- Then the technician immediately unplugs the refrigerator. , fan shroud and coils. This can affect the cooling process. could cause the overload protector on the compressor to shut down the refrigerator. If the condenser fan is making noise, there may be a build-up of lint or other debris on the fan blade and/or surrounding areas. You can vacuum (plastic) and (dry) clean with a soft brush and cloth.